Is there truly a song that encapsulates the spirit of the holidays more than Mariah Carey’s 1994 classic, “All I Want for Christmas Is You”? We don’t think so. Apparently, Spotify users from all over the world agree, because the song set a new one-day Spotify streaming record on Christmas Eve, 24 years after its release. The song raked in a whopping 10.8 million streams on Monday, which beat out the previous record holder, according to The Hollywood Reporter. Of course, this burst in popularity isn’t a new phenomenon. 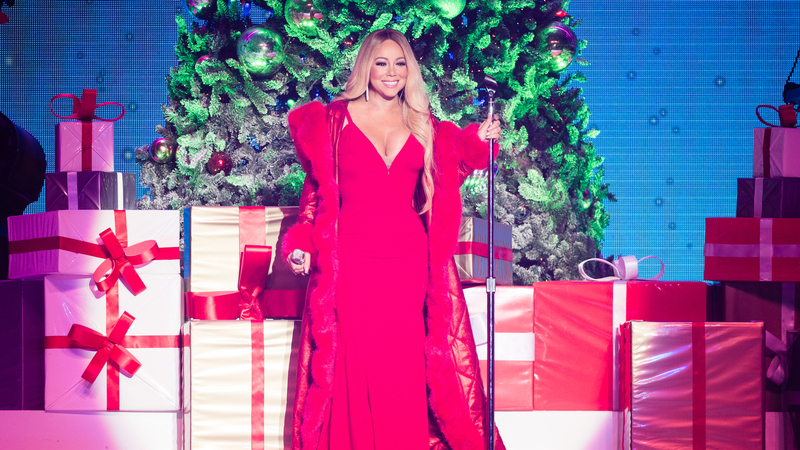 THR reports that Carey’s 1994 Merry Christmas album begins to climb the Billboard charts every year as the holiday season approaches, and 2018 was a particularly big year. In addition to blowing up on Spotify, the lead single from the album also reached No. 6 on Billboard’s Hot 100 chart, and as of Tuesday, the album was in its fourth week at No. 1 on the R&B charts. Carey also quote-tweeted journalist Brian A. Hernandez, who jokingly said, “We all know @MariahCarey invented Christmas, as my sweater is reminding everyone, so stream and buy her music today. But while you’re at it, also give some love to these other holiday songs, most of which aren’t as jolly.” We won’t lie; we kind of want this sweater for ourselves. Jokes aside, the singer has clearly embraced the lasting power of her Christmas music, even going on a Christmas tour this year that took her throughout Europe. The question is, how will she top these accomplishments next Christmas?